First reading them, then writing them. As surely as my lead dog Cookie pulled me from the bottom of a lake after I fell through the ice, books are the reason I survived my miserable childhood. As certainly as my sloop Scallywag has safely taken me through storms and huge seas, books have sustained me as an adult. The awfulness of my childhood has been well covered. But I remember two women who took the time to help me when I was a boy and both women, not so coincidentally, helped me with books. Because I lived from the age of seven to when I was nearly ten in the Philippine Islands and had a private military tutor, I had never been to a public school. We came back to the States when I was just short of ten and moved to Washington D.C. so my father, who was in the army, could work at the Pentagon. My mother promptly enrolled me in public school, took me there the first morning, handed me over to a teacher, and left. I was painfully shy, terrified at the mob of kids and could not go into the room. It was an old school and at the back of the classroom, there was a cloakroom, a shallow closet the width of the room but closed in except for one door. I went in the closet and took my coat off with the rest of the children but then I could not leave, simply could not make my legs move to walk out into the classroom. I was too frightened. There were many things the teacher could have done wrong. She could have forced me out, dragged me into the classroom, could have made me leave. Instead she did everything right. She looked into the closet, saw me sitting back in the corner and disappeared for a moment and said something to the children. Then she came back into the closet and sat down next to me in the corner and put her arm around me. She had a book, a picture book. I cannot recall the contents of the book except that it had a horse's head on the cover and she sat next to me quietly for a time and read to me softly and let me turn the pages. I was lost in the quiet of the cloakroom, lost in the book so deeply that everything else fell away. After a time, it could have been ten minutes or an hour or my whole life, she asked me if I thought I could come out into the room and take my seat at a desk. I nodded and she stood and took my hand and led me into the classroom. A few years later, when I was thirteen, another woman, a librarian, gave me another book and I consider every good thing that has ever happened to me since then a result of that woman handing me that book. I'd been wandering the streets of the small Minnesota town we lived in one bitter winter evening, waiting for the drunks in the bars to get juiced. I sold newspapers, trying to scrape together a little money so that I could buy better clothes, believing, as kids do, that the right clothes might somehow lift me from my wretchedly unpopular social life. And if I waited for the men who hung around in the bars to get a few drinks in them, I could hustle them for extra change. I stopped in the library to warm up. The librarian noticed me, called me over, and asked if I wanted a library card. Then she handed me a card with my name on it and gave me a book. Later that night back at home, or what passed for home -- a crummy apartment in the bad part of town -- I took the book, a box of crackers, and a jar of grape jelly down to the basement, to a hideaway I'd created behind the furnace where someone had abandoned a creaky old armchair under a bare lightbulb. I sat in the corner, eating jelly-smeared crackers, plodding through the book. It took me forever to read. I was such a poor reader that, by the time I'd finished a page, I'd have forgotten what I'd read on the page before and I'd have to go back. That first book must have taken me over a month to finish, hunched over the pages late at night. I wish I could remember the name of that first book -- I can't even remember what it was about. What I do remember about that evening at the library was that it marked the first of many nights the librarian would give me a book. "Here," she'd say, handing me a few battered volumes. "I think you'll like these." She would hand select books that she thought would interest me -- Westerns, mysteries, survival tales, science fiction, Edgar Rice Burroughs. I would take them home to hide in the basement and read, I'd bring them back and we'd talk about them, and she'd give me more books. But she wasn't just giving me books, she was giving me...everything. She gave me the first hint I'd ever had in my entire life that there was something other than my drunken parents screaming at each other in the kitchen. She handed me a world where I wasn't going to get beaten up by the school bullies. She showed me places where it didn't hurt all the time. I read terribly at first but as I did more of it, the books became more a part of me and within a short time they gave me a life, a look at life outside myself that made me look forward instead of backward. Years later, after I'd graduated from high school, joined the army, gotten married, had children, and made a career as an electronics engineer working in satellite tracking, books once again changed the course of my life. This time, though, I wrote them. I was sitting in a satellite tracking station at about nine o'clock at night when suddenly I knew that I had to be a writer. In that instant, I gave up or lost everything that had made up my life until that point -- my work, my family, certainly my earning potential. Writing had suddenly become everything...everything...to me. I stood up from the console, handed in my security badge, and headed for Hollywood. I had to go to a place where I knew writers were; I had to be near them, had to learn from them. I got a job as a proofreader of a men's magazine, going from earning $500 a week to $400 a month, and apprenticed myself to a couple of editors. These two men gave me writing assignments, and in order to continue receiving their help, I had to write an article, a chapter of a book, or a short story every night, every single night, no exceptions, no excuses, for them to critique. If I missed a single day, they would no longer help me. I have been writing for over thirty years, spent most of it starving, trying to make it work for me, in my mind; trying to make words come together in the right patterns, movements, what some have called the loops and whorls of the story dance, and it has always been hard. It is, sometimes, still difficult. But I love writing more now, I think, than I ever have. The way the stories dance, the rhythms and movements of them, is grandly exciting to me. I remember the first acceptance letter, the first time a publisher told me my writing was worthy of publication, the first after many, many rejections. There will never be another first like this one; not first love nor first hope nor first time never, no never like this. Dear author: We have decided to publish your book. Can you imagine? Your life, your work, your hopes and thoughts and songs and breath, we have decided to publish your book. We have decided to publish you. Such words thunder, burn into your mind, your soul. Since then I have written every day and I have told many stories. Stories of love and death and cold and heat and ice and flame, stories sad and stories happy and stories of laughter and tears and places soft and hard, of dogs and the white-blink of arctic ice, stories of great men and beautiful women and souls and devils and gods, stories of lost dreams and found joys and aches and torture and great rolling hills and towering storms and things quick and hot and slow and dull, stories of graves and horses, pigs and kings, war and the times between wars, stories of children's cheeks and the soft hair at a woman's temple when it is moist, stories of rage and spirit and spit and blood and bodies on fences and hay so sweet you could eat the grass. I write from my life, from what I see and hear and smell and feel, from personal inspection at zero altitude and I write because it is, simply, all that I am, because in the end I do not want to do any other thing as much as I want to write. But the force behind it, the thing that pushes me to write, that wakes me at night with story ideas, that makes the hair on the back of my neck go up when a story works, that causes my breath to stop and hold with a sentence that comes right, and that makes coming to the computer or the pad of paper every morning with a cup of tea and a feeling of wonderful newness and expectations, the engine that drives me to write is, surely, love. I personally want just two things. I want to write and I want as many young readers as possible to see what I write. That's it. To write and to have readers. I work all the time. I get up at four thirty in the morning, meditate for half an hour, then start working. Not always writing, but working. If I'm not writing, I read and study and write until I fall asleep at night. I owe everything I am and everything that I will ever be to books. 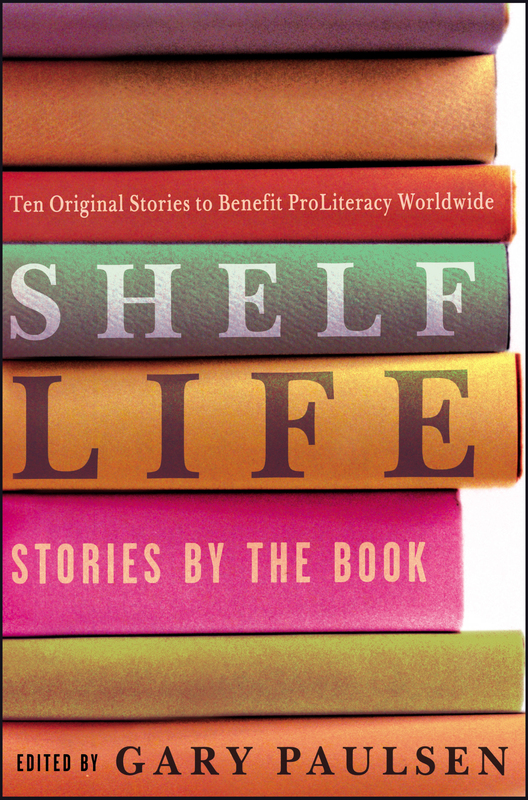 The stories in this collection range from fantasy to farce, from realism to science fiction, but they all have something in common: books that change lives. Ellen Conford's "In Your Hat" introduces a practical joker who gets his comeuppance when the girl of his dreams decides to help him with his book report. In "Escape," by Margaret Peterson Haddix, a chance encounter with one of the volunteers at the homeless shelter where Isabel has been living with her mother makes Isabel consider that there might be a reason why her mother spends so much money on trashy novels. In Jennifer L. Holm's "Follow the Water," a girl who never wanted to go to Mars with her scientist parents in the first place has to make the hardest decision she's ever faced, just when things seem like they might start to get better. "Testing, Testing, 1...2...3," by A. LaFaye, shows a boy who is falling behind in school until he finally gets to learn things his own way, thanks to a magic book that the mysterious woman next door gives him. In "Tea Party Ends in Bloody Massacre, Film at 11," by Gregory Maguire, a decidedly unladylike girl wins over her mother's stuffy visitors with the help of a book -- even if the story she tells has nothing to do with the book she's holding. The hero of Kathleen Karr's "What's a Fellow to Do?" is a young pickpocket who plans to make a fortune at the 1893 Columbian Exposition of Chicago. What he ends up finding there, however -- an abandoned baby, just like baby Moses in the Bible -- might just turn his life around. "Wet Hens," by Ellen Wittlinger, tells how a favorite childhood book creates a bond between two girls when one of them gets into a fight with her best friend. In Marion Dane Bauer's "The Good Deed," Heather's volunteer assignment -- to read to a blind woman all summer -- seems like a job to do, until the girl across the hall makes Heather realize that helping people is more than just a matter of duty. "Barcarole for Paper and Bones," by M. T. Anderson, is an intricate puzzle of a story: a mysteriously deserted ship makes those who find it hope that the ship's written records will make some sense of the situation -- but in fact, just the opposite proves true. In Joan Bauer's "Clean Sweep," a girl and her brother unearth a book from a bitter old woman's childhood when they clean out her attic, which leads the woman to reconnect with a sister she hasn't spoken to in years. It was and still is a wonder for me, what books are and how they become part of a reader's mind and soul. I thank all of the writers I've read and all of the readers who've read my books for allowing me the unending thrill of being a part of this crazy dance of words. And I wish the same kind of joy for everyone who holds a copy of this book in their hands. Sales of this book benefit Literacy Volunteers of America, Inc. (LVA), a national network of over 330 locally based affiliates supported by state and national staff, whose mission is to change lives through literacy.